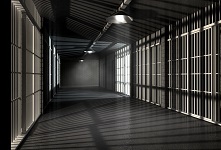 ​Are State Medicaid Policies Sentencing People with Mental Illnesses to Prison? Some health plans require an extra approval step before tests or treatments can be ordered for patients. This step – called prior authorization – is intended to encourage physicians to select cost-effective options by requiring justification for the selection of more expensive options. Likewise, prior authorization policies adopted by state Medicaid programs aim to reduce costs associated with some medications, especially those drugs used to treat schizophrenia. However, an unintended consequence of these policies may be that more mentally-ill patients are being incarcerated, raising questions about the “cost-effectiveness” of these formulary restrictions. states requiring prior authorization for atypical antipsychotics had less serious mental illness overall but higher shares of inmates with psychotic symptoms than the national average. The study concluded that prior authorization of atypical antipsychotics was associated with a 22 percent increase in the likelihood of imprisonment, compared with the likelihood in a state without such a requirement.